Our son (in the kimono!) had to work Xmas Eve, so we ate at the restaurant where he works. Christmas morning - never too old for stockings! 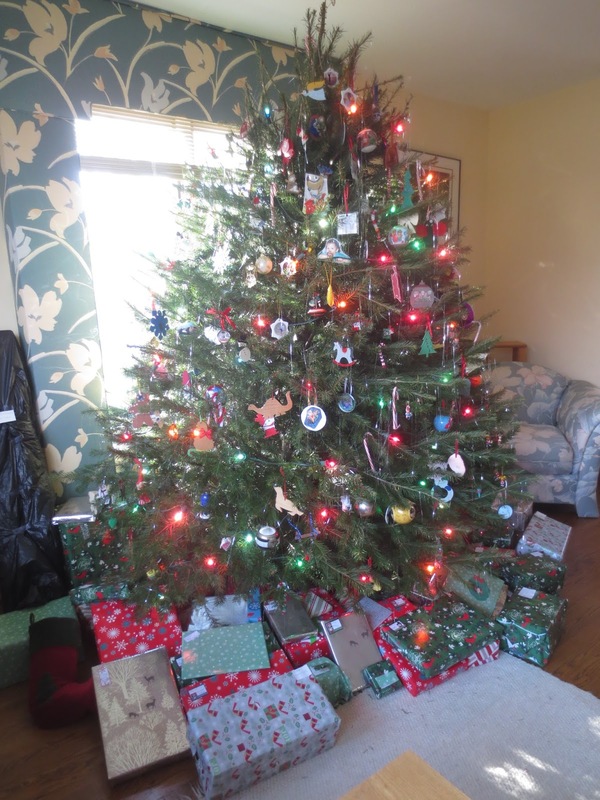 Christmas morning - the "before" picture! The results of our annual Cookie/Grinch Party with old friends! 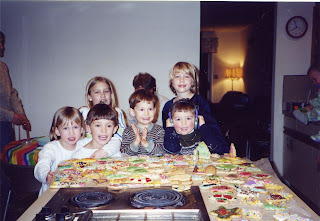 The "kids" with the cookies - all grown up now! ....the same kids (plus a few extra) back in 2000 at the cookie party! 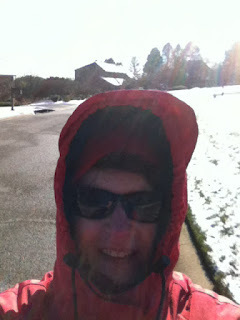 Snow this morning - very pretty, but it's been in the teens and 20's (F) all week! Or order Real Friends from Book Depository, with free shipping worldwide. Our favorite local tree farm - and it was snowing! A rarity here in Dec. The reindeer residents at the tree farm - feeding time! Our sons with our tree. Our finished tree, full of memories. ...the recliner theater for Star Wars: The Last Jedi! Hope you are enjoying a wonderful holiday season with your friends and family! During my unofficial Nonfiction November, I listened to the audiobook of Amy Tan's new memoir, Where the Past Begins: A Writer's Memoir. I've only read one novel by Tan, her very first one, The Joy Luck Club, but I enjoyed it very much. I was drawn to her memoir more because of her personal life, which I know more about than her writing. Tan has Lyme disease (as do my son and I), and she went undiagnosed for years (which is unfortunately not uncommon). By then the infections had caused permanent neurological damage. Although she is doing much better with years of treatment, she has been left with seizures and other problems and a lifetime of treatment. In a world filled with horrible stories about the effects of Lyme disease and other tick infections (singer Avril Lavigne and author Rebecca Wells are two other celebrities who have spoken up about their experiences), Tan's is one of the worst. So, I went into this memoir with a different perspective than most, though the book was focused mainly on her writing life, her family's history, and her own life. "Since this is an unintended memoir, I thought it would be appropriate to include writings from my journals. I gleaned entries that reflect the spontaneity and seeming randomness of ideas that characterize how I think. They are also in keeping with the nature of the other pieces in this book. I call the longer, anecdotal entries from my journals "interludes." I call the shorter entries "quirks." They are quirky thoughts from the top of the head, or quirky things I have seen or heard, or quirky remnants of dreams. For writers, quirks are amulets to wonder over, and some of them have enough strangeness in them to become stories." 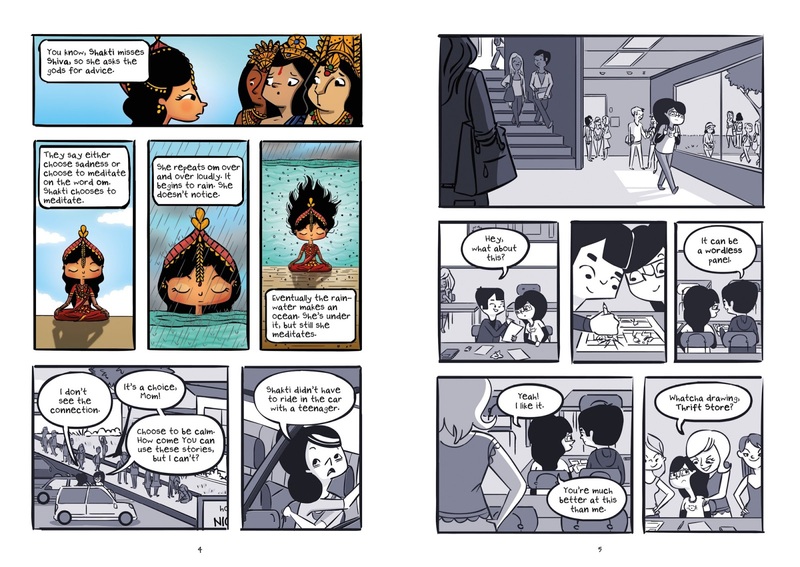 I included that excerpt because it gives you a feel for the "seeming randomness" (as she says) of the book, which jumps around a bit but is always interesting. I enjoyed listening to the audio book, read by Tan herself, and hearing her stories directly from her, though I sometimes lost the thread for a moment or two, so seeing those interludes and quirks on the page might have helped me to keep things straight. As someone who only writes nonfiction and is in awe of novelists, her musings and "quirks" only gave me more reverence for fiction writers. She doesn't say much at all about her experiences with Lyme - in fact, she never mentions it by name - but she does make oblique references to the cognitive dysfunction she suffered and its lingering effects. Mostly, this is a book about writing, a fascinating peek into the mind of a much-acclaimed novelist, that will appeal to writers, readers, and certainly to fans of Tan's novels. To read more about Tan's harrowing experiences with Lyme disease, why she went undiagnosed for 4 years, and her lingering effects, this article (written by her) on her website is excellent. You might think hers is an extraordinary story, but it is quite typical for Lyme disease that goes undiagnosed (as most cases do because there are no accurate tests for it). Click this link to hear a sample of the audiobook, read by the author. Busy, busy, busy! 'Tis the season, right? I spent much of last week trying to finish up my writing work for the year AND getting ready for the holidays. You should see my to-do list from last week! I kept adding to it until it was about three times longer than normal. But I managed to knock a lot of things off it this weekend. 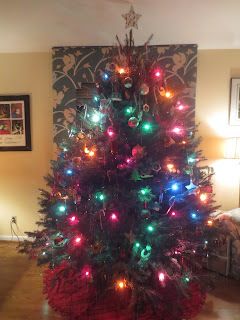 Our college sons came home Friday (temporarily) to help put up the Christmas tree and decorate it. It's one of our favorite parts of the holiday season, going through all our old ornaments - from vacations, childhood, and other memories - with the requisite complaining from our younger son that his brother has about 10 "Baby's First Christmas" ornaments, and he doesn't have any! I fixed that last year with a custom ornament, with a photo of him as a baby and 1998 on it! Always lots of fun and laughs. This week's list looks more reasonable (so far!) though there are some BIG holiday prep items on it that I have barely started yet. 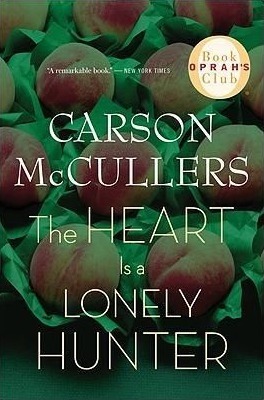 I just finished The Heart is a Lonely Hunter by Carson McCullers for a read-along hosted by the Book Cougars podcast, created by two women who've been to the same two Booktopias that I went to! I enjoyed this 1940 classic novel about a small town in Georgia in the late 1930's. It focuses in on several characters, and - you guessed it - they are all very lonely! A pretty sad story but very well-written and engrossing. 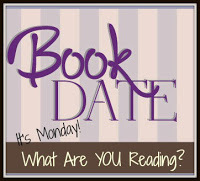 I have just started Small Great Things by Jodi Picoult, one of my favorite authors. My son gave me this novel for my birthday this summer. Her books always focus in on a big issue, and this one is all about race. Some chapters are from the perspective of a white supremacist, and those are REALLY difficult to read - just horrifying. But I guess that's the point. There are kind and relatable characters, too. 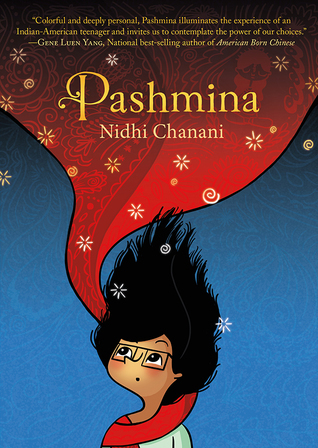 I also read a teen/YA graphic novel last week, Pashmina by Nidhi Chanani, about a teen girl who is Indian-American and struggling to understand her family history. A magic pashmina (large scarf/shawl) allows her to get glimpses of India and better understand her mother. I enjoyed it. For my next audiobook, I chose a great one: American Street by Ibi Zoboi, a YA novel that was a finalist for the National Book Award...and with good reason. I was immediately pulled into this story of a teen girl who immigrates to the U.S. from Haiti, while her mother is detained by authorities. Her story of trying to adjust to life with her American cousins in cold Detroit, while also trying to get her mother released, is powerful and moving so far. I am loving it. My husband, Ken, finished The Farm by Tom Rob Smith, a thriller set in Sweden that sounds really good and was highly acclaimed. I gave it to him for his birthday. He enjoyed it and moved it to my side of the overflowing TBR bookcase! Now Ken is reading another birthday gift, from our son: Cephrael's Hand by Melissa McPhail, book 1 in A Pattern of Shadow and Light series. This is one of our son's favorite fantasy series, so he wanted to share it with his dad. It's 780 pages long so a good one to start now, with the holidays coming up! Our son, Jamie, 23, is re-reading a favorite trilogy, The Night Angel series by Brent Weeks. He is on book 3, Beyond the Shadows. He's finished with final exams now, so I see lots of reading in his near future! 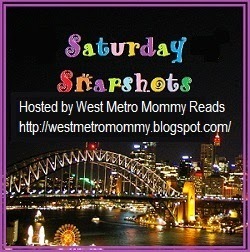 Saturday Snapshot: Winter Is Coming! - from fall pics last week to three snowfalls this week! Since I posted Fall photos last week, I thought I'd jump ahead to winter this week! Even though the official start of winter is still a week away, we had three significant snowfalls this past week. This is almost unheard of so early in the season here in Delaware where it rarely snows before January and sometimes not until early March! First snow of the season last Saturday! It got REALLY cold this week! This fox was standing just inside my garage yesterday! we were both very surprised!